Duane Dishno is a retired educator and administrator. He has lived in the community for more than 40 years and has served as Superintendent of elementary, unified and high school districts. He is married with two children. Mr. Dishno is the recipient of numerous awards and recognitions for his professional and community service. He served on the Huntington Beach Centennial Celebration Committee, the Pier Plaza Grand Opening Committee, the Infrastructure Advisory Committee, and the city school district's Bond Oversight Committee. Additionally, he served on the Board of Directors of several local organizations. Susan Henry is a registered nurse, community volunteer, and holds a B.F.A. in three-dimensional art from California State University, Long Beach. She is a recognized, published artist and member of the jurored organization California Fibers. She has been a resident of Fountain Valley and Huntington Beach for over 40 years. She is married with three children, all of whom graduated from Fountain Valley High School. Mrs. Henry has received numerous awards and appointments for her educational and volunteer service, including the Lifetime Honorary Service Award from PTA and the Marian Bergeson Award for outstanding board service from the Orange County School Boards Association. Appointments from the State Department of Education include the SB172 Advisory Committee (suspension of the California High School Exit Exam – CAHSEE) and the Judicial Council of California's Civic Learning Award Selection Committee. Her leadership roles have included president of the California School Boards Association, a statewide organization representing school board members advocating on behalf of California public school students. As a member of the Delegate Assembly of CSBA since 2006, she has served on many statewide committees including the Legislative and Executive Committees, the Governance Study Group, and Golden Bell Awards. 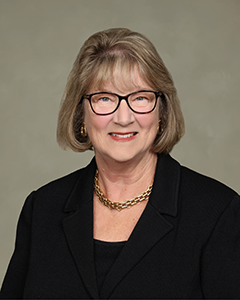 Nationally, Mrs. Henry has served multiple years as a member of the Policies and Resolutions Committee of the National School Boards Association. Locally, she has served as the president of the Orange County School Boards Association and co-chair of HBUHSD's successful Measure C Bond Campaign. Dr. Michael Simons is a Doctor of Podiatric Medicine in private practice in the community. He has been a resident of Huntington Beach for over 40 years. He is married with four children, all of whom graduated from Huntington Beach High School. As a product of public education from grade school through college, he is a strong proponent of public education. 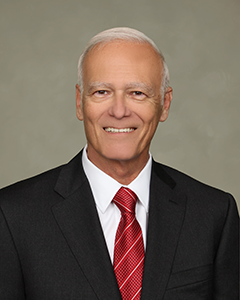 In his leadership roles, Dr. Simons has represented the community on the City of Huntington Beach Infrastructure Advisory Committee and Community Services Commission. He was also a Gubernatorial Appointee to the Board of Podiatric Medicine and is currently an expert medical witness assisting the California Department of Consumer Affairs and Attorney General's office with consumer protection. 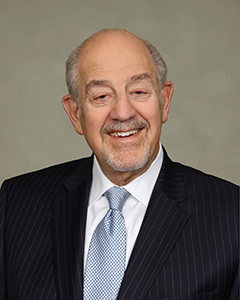 In addition, he has also served on the Boards of Directors of multiple local philanthropic and religious organizations. Dr. Simons was Co-Chair of the successful Measure C Bond campaign to enable our students to take advantage of cutting edge programs and technology in a safe learning environment. Currently, he is involved in setting policy on a state level as a member of the Delegate Assembly of the California School Boards Association. Dr. Simons is Chairman of the Podiatry Division at Fountain Valley Regional Hospital and is involved in teaching Resident doctors. Bonnie Castrey is an internationally recognized dispute resolver. She holds a Juris Doctorate degree from Western State University and B.S. and P.H.N in nursing from California State University, Long Beach. Ms. Castrey maintains a private dispute resolution practice. She has mediated, arbitrated and chaired fact-finding matters in over 2,000 cases since 1975 in the public, federal and private sectors. As a Presidential Appointee from 1995 to 2000, she was a member of the Federal Service Impasses Panel and when reappointed, she chaired the Panel from 2000 to 2002. She has received numerous honors and recognition awards, including a Life Time Service Award from the Labor Employment Relations Association for service to both her community and professions. She also received the coveted Marian Bergeson Award for education leadership. As a strong advocate for Public Education, Ms. Castrey believes it is one of the essential pillars of our democracy. Ms. Castrey advocates for co-curricular programs to help students build confidence, leadership skills and interest in life long education. She serves on many statewide committees and coalitions to support our schools, including the visual and performing arts. 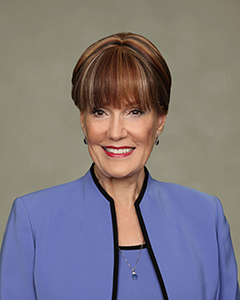 Among leadership roles, Ms. Castrey served as the international president of the Society of Professionals in Dispute Resolution, president of the Orange County School Boards Association, founding president of the Orange County Industrial Relations Research Association, president of the national Labor and Employment Relations Association and chair of the Federal Service Impasses Panel. 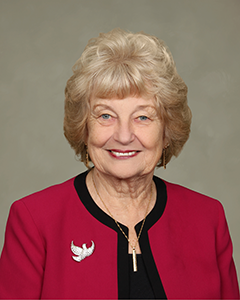 As a member of the Delegate Assembly to the California School Boards Association since 1986, she has served on many committees including chair of conference planning, legislation and was chair of the 2013 Nominating Committee. Diana is a long-time resident of Westminster, a former biology instructor, high school principal, district administrator, small business owner and advocate, a member of the Westminster Chamber of Commerce, and a former member of the Westminster City Council. As a life-long educator, in 2019, Diana was recognized as a California State Woman of Distinction in Education and the Arts. As Vice President, and 'Diamond' sponsor, of the Westminster Rose Center Theater, she proudly supports the HBHS Academy for the Performing Arts, other school arts programs, and the Vietnamese-American Philharmonic Orchestra. She is a sponsor of the Viet Bao 'Writing on America' program that records the histories of Vietnamese immigrants and their journey to the United States. She is a member of the financial oversight committees for the Westminster School District, the Ocean View School District, Coastline Community College District and the City of Westminster. She is President of the Westmont Neighborhood Watch. She was honored as Westminster Citizen of the Year for her work with non-profit and charitable organizations. She is the founder and President of the non-profit 'USMC Family Support Project' that helps young military families of the 3b Amphibious Assault Battalion at Camp Pendleton and Twenty-nine Palms. She is a sponsor of the annual 'TET parade", health fairs, food donation projects, and holiday gift and clothing distribution to underprivileged families in the community. She has sponsored 'safe-practices' grants for nail salon workers and smoking cessation in the Vietnamese community. She is a life member of Seal Beach Animal Care Center, and WAGS Animal Adoption Center in Westminster, and is a long-time supporter Westminster Police Officers Association. In 2014, she was recognized as a California State Woman of the Year, and by the United States Congress, for her charitable work on behalf of children and the elderly, including as a Director of the Boys and Girls Club. She also served as a Los Angeles County Alzheimer's and Dementia Conservator. She was elected to the HBUHSD Board in 2018. She is proud and delighted to serve the students, parents, staff and our communities, as we partner to educate our students for the twenty-first century, for only through education can we change the future.